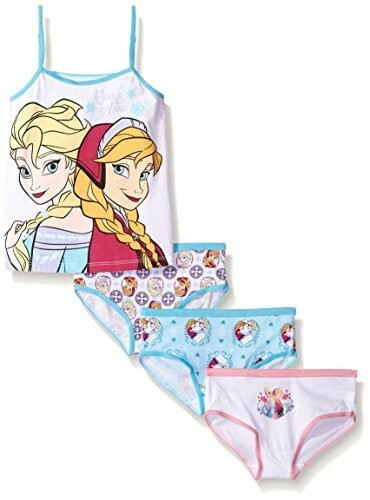 Celebrate her favorite devoted sisters with this 4-piece set featuring Anna and Elsa! 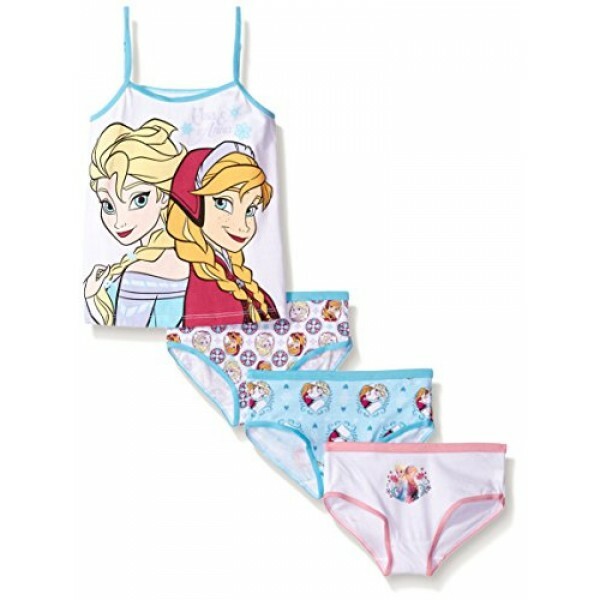 This set includes a tank-style cami and three pairs of character underwear. The set is 100% cotton, with comfortable elastic waists on the underwear to make it easy to move and play. Available in kids' sizes 4, 6, and 8. For more fun and empowering clothing, visit our Clothing Collection.